American and Ukrainian officials issued provocative threats and accusations against Russia less than 48 hours after German, French, Russian and Ukrainian negotiators reached a cease-fire agreement following marathon talks in the Belorussian capital of Minsk. The statements of Obama administration officials and Ukrainian President Petro Poroshenko were designed to create a pretext for scuttling the cease-fire deal and escalating the assault on pro-Russian separatist forces in eastern Ukraine along with the diplomatic, economic and military campaign against Russia, while attempting to foist the blame on Moscow. Washington and Kiev did not wait for the truce to take effect on Sunday to launch new charges of Russian military aggression, none of which were substantiated. Meanwhile, fighting in eastern Ukraine between pro-Russian separatists and government forces intensified. Psaki also charged that Russia was preparing a large shipment of supplies to pro-Russian forces. She provided no evidence, however, to back up her charges. In a statement Thursday, White House Press Secretary Josh Earnest coupled tepid praise for the cease-fire as a “potentially significant step toward a peaceful resolution” with the demand that Russia remove its soldiers and military equipment from eastern Ukraine. Moscow denies having any active troops in the separatist-controlled regions of Ukraine. Repeated claims by European and American officials of Russian troops directly assisting the pro-Russian separatists have never been substantiated. Recent photographs presented by a delegation of Ukrainian politicians to Republican Senator James Inhofe as evidence of Russian involvement were quickly exposed as a fraud. They turned out to be photographs of Russian military equipment during the 2008 Georgian war. 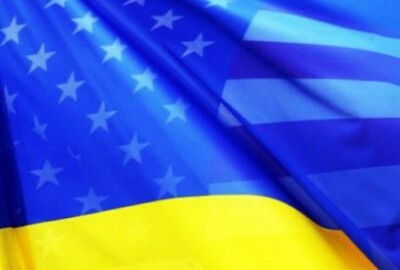 Earnest concluded his remarks by insisting on the “full and unambiguous” implementation of the agreement, including the “durable” cessation of fighting and the restoration of Kiev’s control of Ukraine’s border with Russia. The talk of stepped-up Russian military involvement in eastern Ukraine suggests that the Obama administration, perhaps following a brief respite for Ukrainian forces that have been battered by rebel militias in the east, may be planning to use Russia’s supposed violation of the cease-fire to justify a decision to directly arm the Kiev regime with advanced US weapons, a step that has been described by European politicians and media outlets as tantamount to a declaration of war on Russia. The Minsk deal was not negotiated by Washington, but under the aegis of Germany and France. Last week, German Chancellor Angela Merkel and French President François Hollande launched a diplomatic effort to halt the fighting after reports emerged that Washington was considering arming the Ukrainian regime. Other US politicians directly attacked the cease-fire. Republican Senator John McCain, chairman of the Senate Armed Services Committee, released a statement denouncing the agreement as a sellout to the pro-Russian separatists and Russian President Vladimir Putin and called on the Obama administration to move forward with arming Ukraine. Ukrainian fascist forces, which have operated as the military spearhead of the Kiev regime’s assault on the separatists in eastern Ukraine, also rejected the accord. On Friday, the head of the fascist Right Sector, Dimytro Yarosh, who is also a member of the Ukrainian parliament, denounced the cease-fire in a statement published on his personal Facebook page. The agreement, slated to take effect at 12:01 AM Sunday, calls for the pulling back of artillery and other heavy weaponry so as to create a buffer zone along the current lines of fighting. Other key points are the removal of all foreign fighters and weapons from eastern Ukraine and the release of all prisoners of war. The agreement also calls for constitutional changes to grant greater autonomy to rebel-held areas, while requiring the separatists to return control of the border between eastern Ukraine and Russia to the Kiev regime. Thursday’s Minsk II agreement replaces the Minsk Protocol cease-fire signed last September, which was repeatedly violated by both sides and fell apart completely in January. Fighting escalated last month after the Kiev government launched an offensive against rebel-held positions in the eastern Donbass region. Kiev forces suffered sharp reversals when pro-Russian separatists launched a counteroffensive, capturing significant amounts of territory and gaining control over the Donetsk airport. Following the announcement of the new truce, both sides stepped up the fighting in an effort to make last-minute territorial gains before the cease-fire is scheduled to take effect. Debaltseve, the site of a key rail hub between the rebel-held cities of Donetsk and Luhansk, saw the most intense fighting Friday. As many as 8,000 Ukrainian troops are surrounded by pro-Russian separatist militia fighters. Andriy Lysenko, a Ukrainian military spokesman, reported Friday that at least 11 Ukrainian soldiers had been killed and a further 40 wounded in fighting since the agreement was signed. Artillery shells struck a school in the Ukrainian-controlled city of Artemivsk, killing two civilians, including a seven-year-old child. At least five other civilians, among them three children, were injured in the shelling. Donetsk People’s Republic Defense Ministry official Eduard Basurin told reporters Friday that shelling of the rebel-held cities of Horlivka, Donetsk and Luhansk since Thursday had killed ten civilians and wounded nineteen others, including three children. The Organization for Security and Cooperation in Europe (OSCE) released a report Friday stating that illegal cluster bomb munitions had been deployed in the shelling of Luhansk on Thursday.